CPDA Member W.T. Knowles & Sons Ltd , well known manufacturers of clay pipes and chimneys since 1906 have invested a significant amount of money into projects over the last twelve months. Two sizable projects have now been completed, have helped to increase their capacity and made the production process better to cope with new higher standards. Knowles, based in West Yorkshire have installed a new press to help meet ever changing demands and faster production lead times which the market now requires. 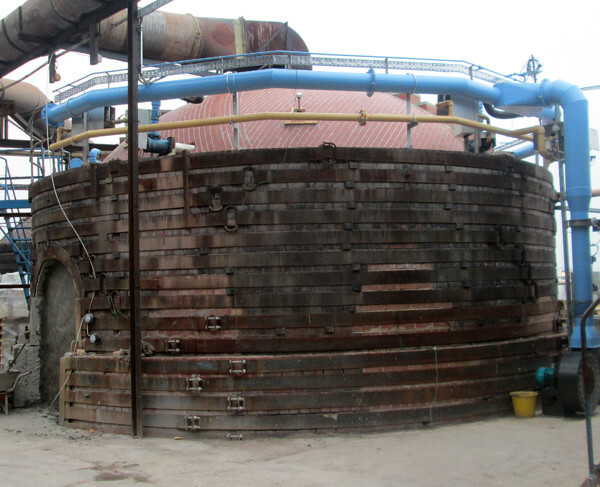 In addition to installing the press they have converted their biggest coal kiln to natural gas (pictured below) which fully came online this year, creating a higher quality finished product for colour and new standards. “Everyone in the industry has had to work hard since the recession. We took the decision to invest in clay and our capabilities over the last 12months” said Martin Knowles, MD of W.T. Knowles & Sons Ltd. “We are very much looking to the future, investing in the business and working towards our plans for growth over the coming years. Knowles are now waiting delivery of a first stage crusher from supplier Craven Fawcett which will upgrade existing equipment which has seen many years of valuable service.